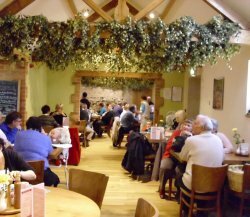 Uncle Henry's Farm Shop and Cafe is a showcase for all that is best in Lincolnshire food. We are proud of being from Lincolnshire and support local suppliers where we can. We stock many specialist products as well as our own Lincolnshire sausage and fresh vegetables from our garden. Why not make a day of it and enjoy some home cooked food in our award winning cafe. Our friendly staff will make you feel most welcome. We cater for coach parties and educational visits. Find us at Grayingham Grange Farm 15 miles north of Lincoln.